A NASA portrait of Canadian Space Agency astronaut Steven MacLean. Former astronaut Steve MacLean is stepping down from his post as president of the Canadian Space Agency to pursue quantum physics. MacLean served as president of the CSA since 2008. After he leaves the agency on February 1, he will join a new venture to be created by RIM co-founder Mike Lazaridis as leader of a quantum physics research team, according to the CSA. The agency said in a statement that MacLean "was devoted as an accomplished physicist, astronaut and administrator to advancing the Canadian Space Program" during his tenure as president. 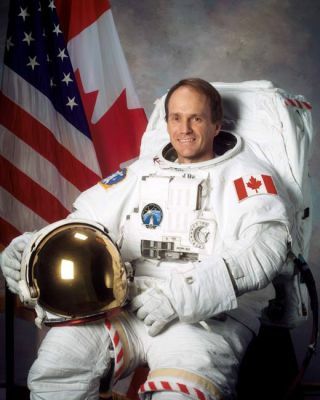 MacLean was selected as one of the original six Canadian astronauts in 1983 and completed two successful missions in space. In 1992, he flew onboard the space shuttle Columbia as a payload specialist for mission STS-52. MacLean also flew to the International Space Station onboard the space shuttle Atlantis in 2006 as a mission specialist for STS-115, during which he became the second Canadian to walk in space. The first was Chris Hadfield, who is about to become the first Canadian commander of the ISS.